IMPORTANT! Please select Feather Flags size, before Custom Design. 1. HOW FAST can I get the shipment? 2.1 Upgrade to DOUBLE SIDED? Double Up! your advertising exposures (with Double Sided Feather Flags). 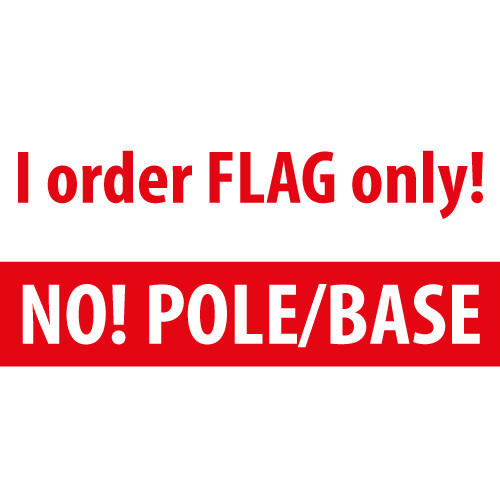 *2.2 Add POLE KIT to Stand Up the Flag? 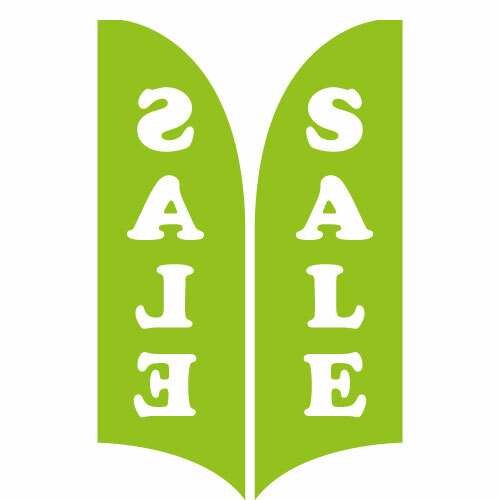 Please submit your Scalable Vector LOGO FILE (ai, pdf, eps), for best resolution print quality. Other file formats (jpeg, png) are acceptable, if it is large enough with high resolution. Please submit your own Custom Feather Banner Print File here, if you prefer to design with Adobe Illustrator/Photoshop using our Feather Flag Template. 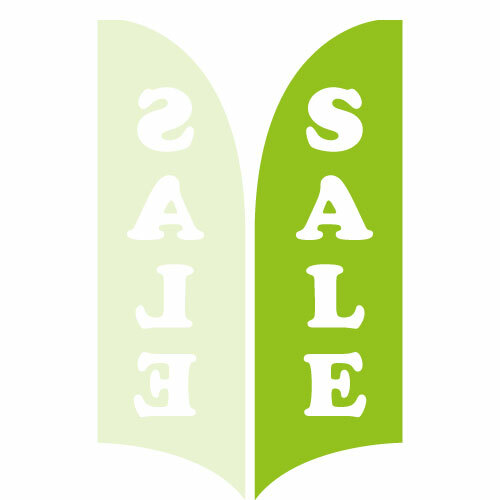 H8ft Custom Feather Flags cheap wholesale from direct Feather Banners manufacturer. All our eyeBanners are printed with the most advanced dye-sublimation (thermal) printing. This use heat to lock and fuse the ink particle with the polyester fabric. 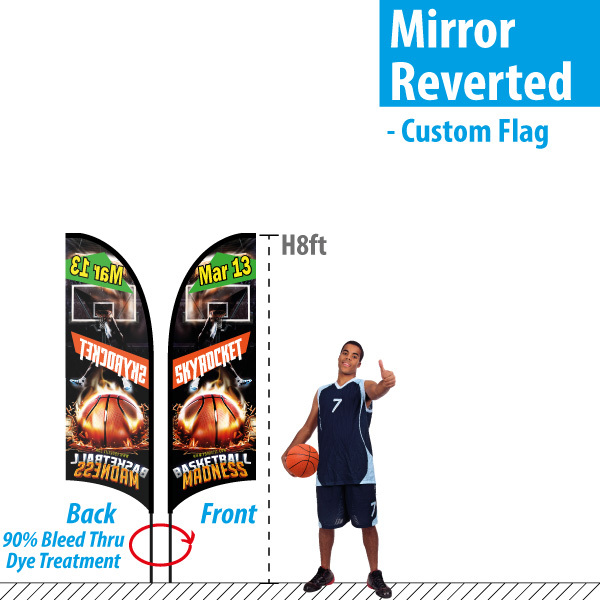 This provides a long lasting vivid color on our Custom Feather Banners. 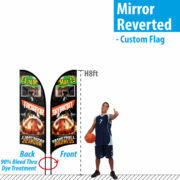 This gives eyeBanners competitive advantages, over cheap screen-printing from other manufacturers. 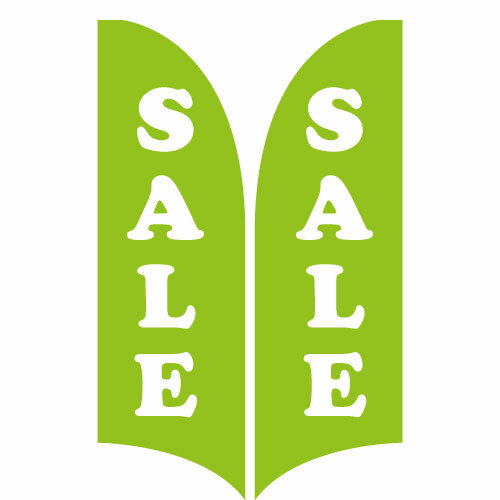 Why FEATHER FLAGS are better than traditional outdoor advertising banners? Feather Banners are also known as windless flags, because the flags is stretched in its feather shape without the need of wind to make it fly. Because of its windless feature, it is a more popular advertising flag which is ready for both outdoor events and indoor trade shows. 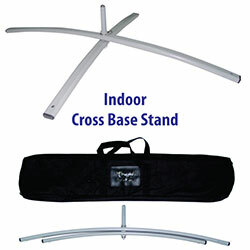 Different Flag Pole Base options are available for all kinds of environment and conditions. 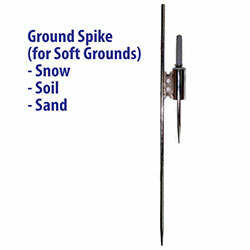 Cheap Ground Spike is the most popular option for soft grounds like grassland, sand, soil, snow. Need a kit to be ready for setup in any events you might be going to? 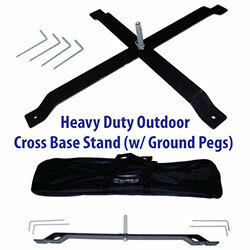 Pick our OUTDOOR CROSS BASE STAND! This is a fully multi-purpose Base, which is ready for both outdoor events and indoor trade show center. FREE Water Bag weight is provided to ensure a stable anchor even in the windy outdoor areas.